High in protein. Low in fat. Soy free. Made with Non-GMO ingredients. New great tasting. Enjoy great tasting meals every time! All Quorn products are perfect for people seeking a smart approach to healthy eating. 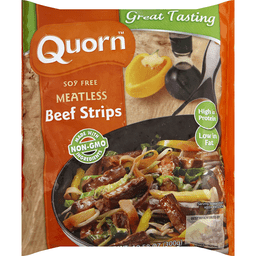 Quorn Beef Strips are meatless & soy free. 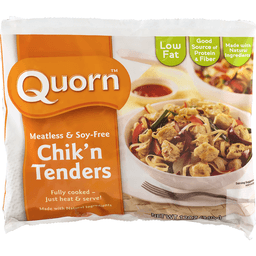 Quorn Beef Strips are the best way to make healthy versions of your favorite meals like stir frys, salads and tacos. 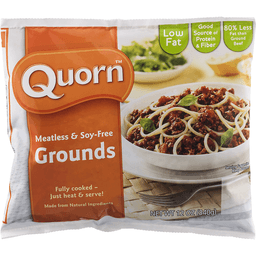 Quorn Beef Strips are made with mycoprotein (myco is Greek for fungi) and are completely meatless & soy free. There are believed to be over 600,000 varieties of fungi in the world, many of which are among the most sought after foods. Check out our website for more information on nutritious mycoprotein used in all Quorn products. Suitable for vegetarians. Contact us! - with your questions comments, and sign up for our e-newsletter! We'd love to hear from you! 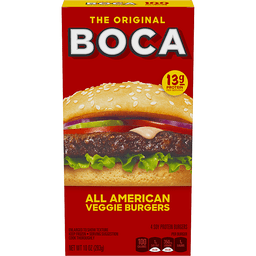 Write: Quorn Foods Inc., PO Box 10789 Chicago, IL 60610. To discover more great Quorn products and inspiring recipes, visit www.quorn.us. Facebook. Twitter. Instagram. Pinterest. (at)quornUS. www.facebook.com/quornUSA. Product of the United Kingdom. Made with non-GMO ingredients. Fully cooked - just heat & serve. Enjoy great tasting meals every time! 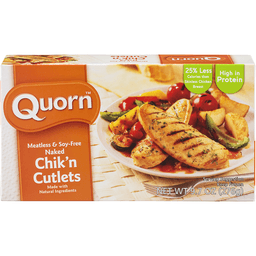 All natural Quorn products are perfect for people seeking a smart approach to healthy eating. 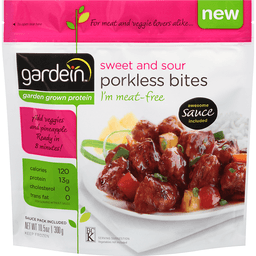 With a wide range of delicious, meatless and soy-free options that cook direct from the freezer, they set the standard for convenient, healthy meals in a hurry. Great in: kebabs; subs; Swedish meatballs. To discover more recipes & to explore the whole Quorn line, visit www.quorn.us. 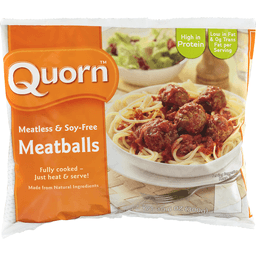 Quorn Meatballs are made with mycoprotein (myco is Greek for fungi) and are completely meatless & soy-free. There are believed to be over 600,000 varieties of fungi in the world, many of which are among the most sought after foods like varieties of mushrooms, truffles and morels. 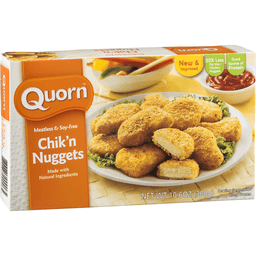 Check out our website for more information on nutritious mycoprotein used in all Quorn products. Contact us! with your questions, comments and to sign up for our e-newsletter! We'd love to hear from you! 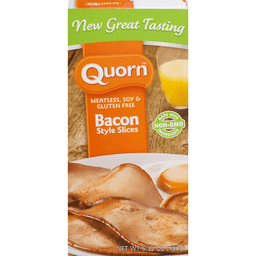 Visit: www.quorn.us. Write: Quorn Foods Inc., PO Box 10789, Chicago, IL 60610. Suitable for vegetarians. Product of the United Kingdom.